With only 8 days left, the MUNNY MUNTH custom contest is heating up and we are getting some insanely talented designs submitted. Be sure to get your custom 7-inch MUNNY entered before June 30 for your chance at one of the many prizes, including the grand prize design in Dunny Series 2011. 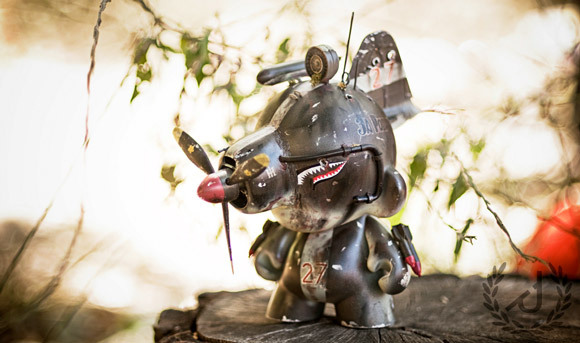 Today’s MUNNY D’jour is the War Bird, designed by JONxSHREDx and purchased at Frank & Sons. There is some great custom control on this tough as nails character. Check out the process of War Bird’s creation after the jump.